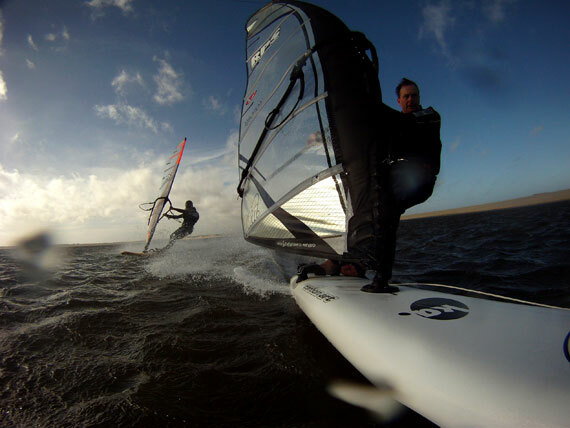 O-spot.nl Windsurf Forum - New GPS Speedsurfing World record at Sandy Point. 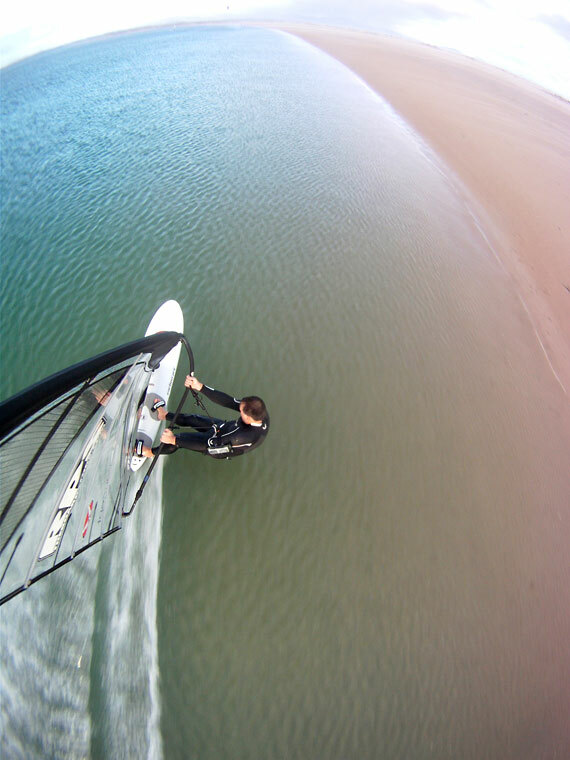 An overview on the excellent speed arena of Sandy Point, Australia. At Sandy Point in Victoria, Australia, just some hours southwest from Melbourne, which is renowned to produce some unreal conditions for speed sailing, we saw KA Sails team sailor “Spotty” sailing on fire. He – Craig is 39 year sold, 197 cm tall and gets around 11o kg on the weighing machine – was amongst a group of sailors that closely followed the forecast and got it right on the day. Spotty is a well known speed sailor and is still claiming the fastest “unofficial” 10 sec of 49.05 kts from 2009. To make a valid GPS World Record you have to use 2 x GPS GT31 units, and unfortunately he only had one on him in 2009. The 1 unit recording was however enough to use for the Overall Ranking that he still leads. This time he made no mistake to have 2 x units on him and could claim the official World GPS Record. He just managed to sneak past his friend and other KA team sailor Tony Wynhoven, that was holding the record of 47.52 knots for a long time!! Spotty with his record gear. “Some good conditions today for those to PB some great averages. It was windier earlier in the session and a bit up and down towards the end, but the tide did co-operate and produce some great flat long runs. 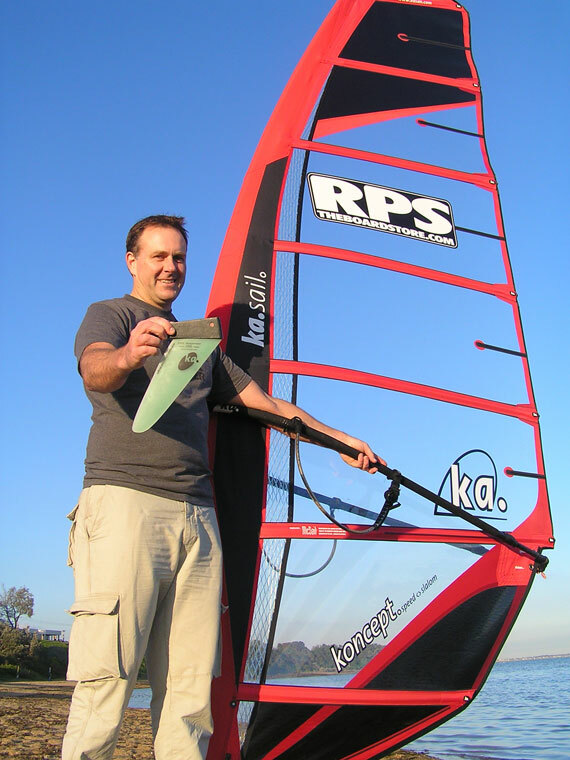 I rigged the 2011 Ka Koncept 5.0 for the second time with Ka21 fin, the sail worked really well in the last big session and was looking forward to using it again. First shake down run started real slow ending up in the channel unable to water start as I drifted down the towards the east bank. Finally a gust and able to get going and have a solid “safety run” with a 47.6 peak, 46.9 10sec, sail was feeling sweet with heaps of controllable power. Second run peaking at 48.4 with 47.7 10sec confirmed it could be a good session. Third a 48 pk 47.1 10 sec, Fourth 47.8 pk 46.4 10sec. Took until the 8th run to get a 5th contender for the 5×10 (to use for the 2011 GPS Top 10 ranking) as the wind was starting to back off, so I fitted the Ka23 with its damaged leading edge from running aground at Rye earlier in the year and got a 48.1 pk 47.1 10sec. Witnessed Peter’s crash from what looked like an unrecoverable spinout, was clear he had broken his nose with plenty of blood showering my goggles as he recouped on the bank before walking back and heading off to hospital, get well!! 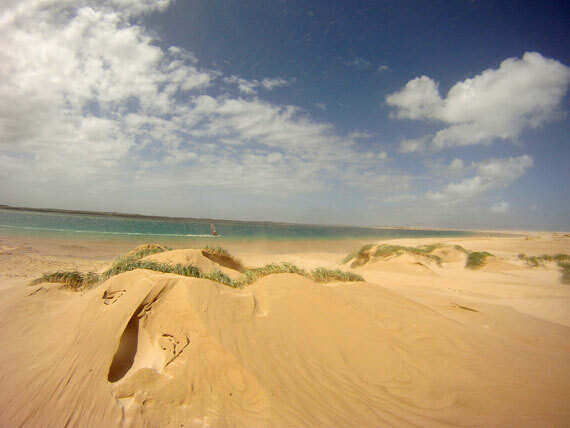 Sandy Point definitely delivers flat water conditions! Back on the way upwind. Between all the awesome speeds there was some drama as Peter Johnston was unlucky to spin out and face planted onto the board, that left him covered in blood with a broken nose and possibly damaged eye socket? “I had plenty of warning the fin was going, time to unhook (from hazy memory) but chose to hang onto the gear rather than leap off the back as a fleeting thought told me it might blow across the inlet. It wasn’t that crazy windy at that point anyway – maybe 30knots at best – but went a bit nuclear while on the long walk back up the run. 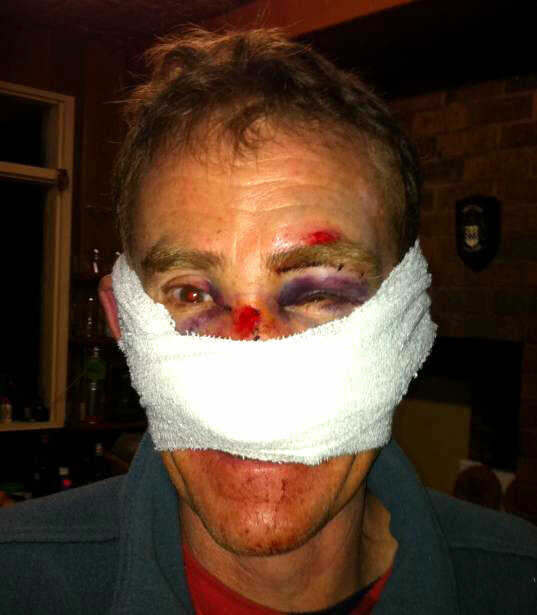 Peter Johnston after his horrible crash at Sandy Point. “I have some kind of mini-tampon like wad jammed far up into my nose which might have to stay for three days! And two very black eyes. The worst part really was missing more good runs and the bollocking my partner gave me after Spotty left! She offered to punch my nose back into line if it needed re-setting. Thanks also to team members for taking time out from an epic day to check in on me, help out with gear etc. Trapezelijntjes extreem wijd btw, op het recordsetje. Beetje 80's style.